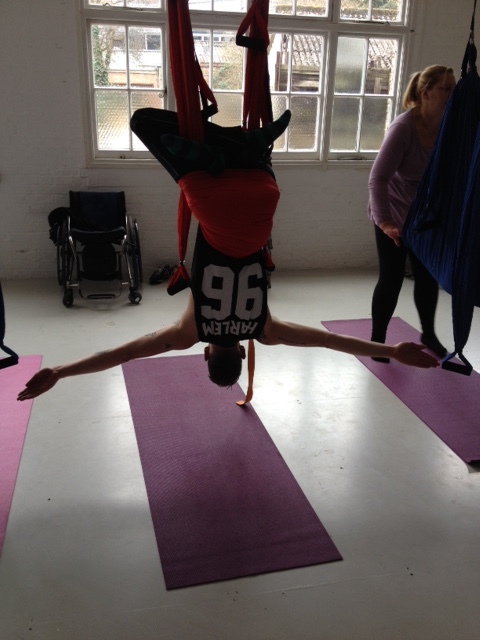 THE BASICS: Aerial Yoga London held its first Adaptive Aerial Yoga Workshop recently up in Stoke Newington. 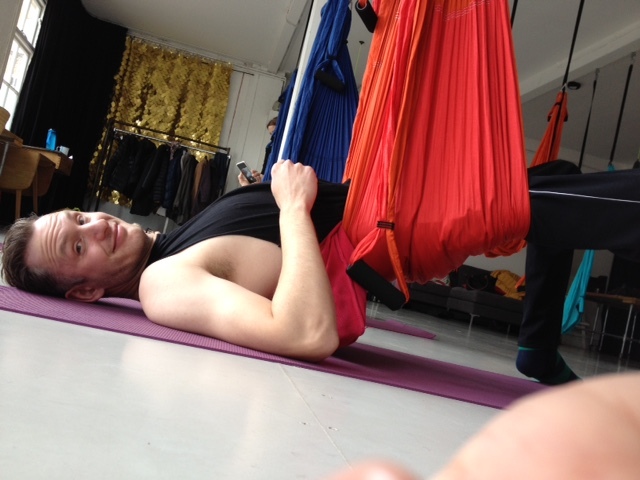 An aerial yoga workshop for all physical abilities; from the partially paralysed to the completely able-bodied; everyone in the class did the same moves, and shared the same “wow” factor and freedom of swinging about in aerial yoga hammocks. If you use a wheelchair and you’re looking for a really amazing, unique yoga experience where you get to do exactly the same things that everyone else in the class is doing, this workshop comes highly recommended. If you don’t use a wheelchair, and you’re looking for a really amazing, unique yoga experience where you get to do exactly the same things that everyone else in the class is doing… this workshop also comes highly recommended. You get my point, I hope? Disabled or otherwise- you’re all just human beings in this class. For those of you who use wheelchairs and have stumbled upon this post in your search for fun stuff to try in London- this workshop assumes you can do anything you want to, rather than being the sort of class that focuses on your disability and how to work around it. THE CLASS: Stephen is a marathon racer, endurance swimmer and daft northerer who accompanies me to some of my more adventurous classes. He’s also not techincally an HB. I know- I’m sorry that he’s essentially raided the girls locker room by appearing in a post. But- we can forgive him on this occasion. I mean- firstly, he’s a jolly nice bloke, and secondly- we kinda needed his expertise at this class, because he is a wheelchair user. We were excited about this class- the idea of a class that absolutely equalised our physical capabilities; a class that we could both do alongside each other without one of us having to adapt; a class that assumed that we were both perfectly capable humans (as it should, because… well, because we are); a class that put us on level par and challenged us both….. well it blew our minds a little bit. 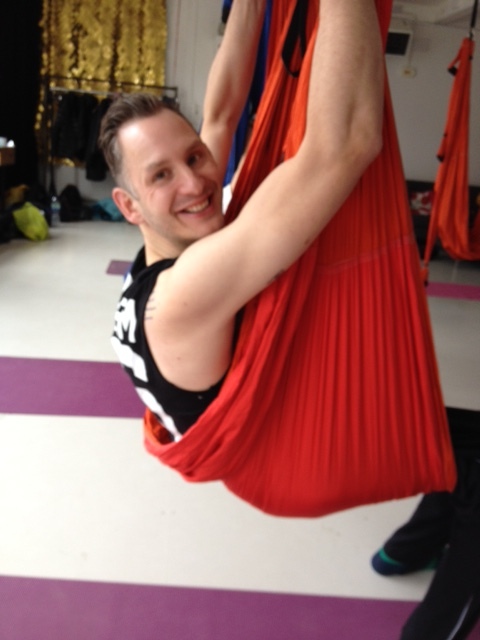 I’d taken a couple of aerial yoga classes previously, and so knew it was going to be a lot of fun! The space was a bus ride from Dalston Kingsland and a bit of a walk after that, but so very worth the trek into deepest Stoke Newington. It was a beautiful studio- tall, white, airy, bright. 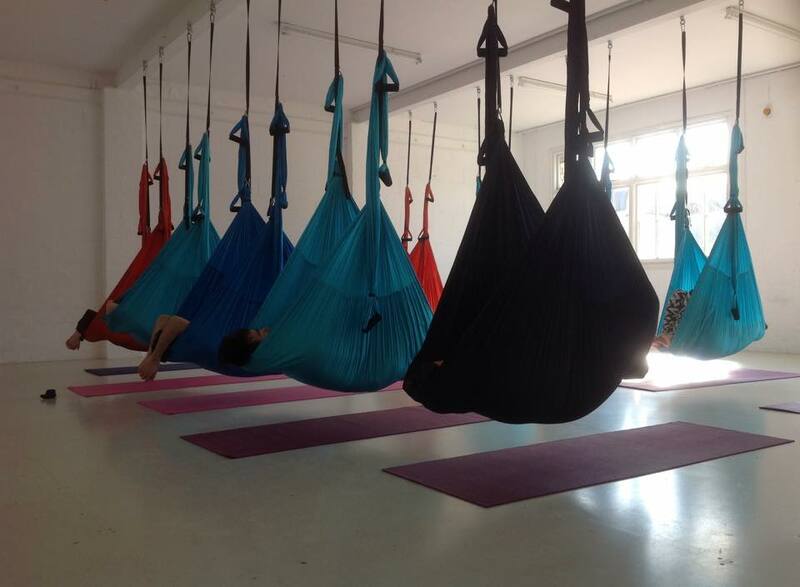 13 colourful hanging yoga swings, all lined up against the white warehouse studio space. Among the 13 of us who took the class, 4 people were wheelchair users. The workshop was definitely more of an introduction rather than a flowing, structured class. The workshop was about getting everyone used to the swing and how to transition between poses. Although, having said that, the workshop followed a structure of about 14 poses all in all- including suspended versions of fish and pigeon poses. We got the chance to really explore, let go and relax deeply into the poses, spending a few minutes in each. Sometimes, this time was used to assist some of us into poses when we needed it. Sometimes, it was silent, as we all swung gently, enjoying the freedom. We started off small, lying in the swings like cocoons, all tucked up. We ended up on some pretty complex poses, but each pose built us up to the next, and none felt uncomfortable or scary. At times, people were chatting and taking photos of the amazing positions they found themselves in. 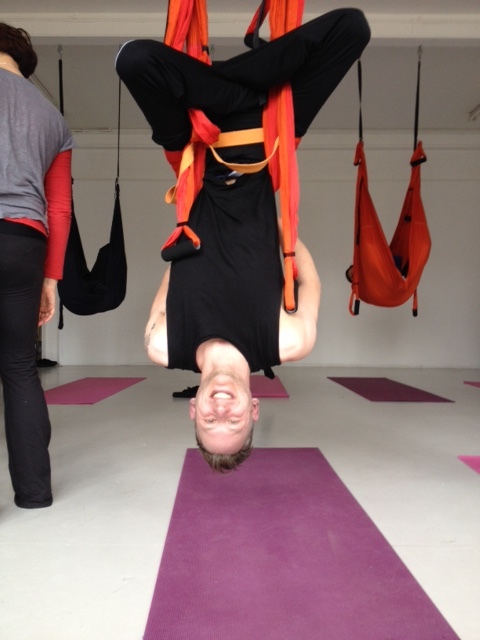 It was a great fun, inclusive feeling where you could watch a fellow yogi get a little help shifting their weight and suddenly they were upside down, swearing in surprise that their body could do such a thing- while you yourself hung upside down yourself like a little fruit bat, giggling happily at their delight. Some people required a couple of spare hands to get into positions (such as swinging upside down). These assistive hands were expert, unpatronising and no-fuss. The teacher Ivonne had clearly thought about poses that people with all physical abilities could do and enjoy, which was key to such a successful workshop I think. There wasn’t a hint of “you can move your legs so you can do this, but you can’t, so you can only blah blah blah”. Nope. If you wanted to try a pose, then every body could manage it, but hey, if you didn’t fancy a particular one, then no worries. Stephen and I talked about it during and after the class- I wanted to know what it was like from his point of view. I think the move that he enjoyed the most (despite going completely purple in the face) was the upside down suspension. Two things were particularly amazing about him doing this move. Firstly, seeing his brain going in overtime when he took his hands off of the floor and realised his waist, bum and legs were keeping him there, swinging freely- it was amazing to watch and, he’s said, incredible to experience. And then, (and I’d completely failed to realise how crazy this must have been until we chatted after class) for him not to be able to actually feel the aerial swing wrapped around his waist, bum and legs, and trust that the swing would keep him there when he took his hands off of the floor. I’m aware that some classes for people who have any kind of disability can feel like second rate, adapted, “special” classes that fall a bit flat, because they patronise or assume minimal capability. This was anything but. It was called “adaptive” aerial yoga, but it could comfortably be called inclusive aerial yoga- because it included every single one of us. In a very no-nonsense way, the thinking behind the class was that it assumed equal capability of all participants. This is a pretty rare and awesome thing. There was no experienced yogi, no advanced yogi, no beginner yogi, no wheelchair-using yogi. Just people, getting to grips with an unusual but really cool form of yoga. I loved that so much. That’s what really set it apart from other classes in this “all-abilities welcome” category, I think. Now then- the workshop vs class aspect. Stephen’s said that as a wheelchair user, if you came to these regularly, then you’d learn where the swings supported you, and be able to transition and get into positions without assistance. Then, once you got to this point, you’d be looking to move on from experimental, informative workshop to flowing class. And I think classes are in the pipeline. I will update the blog if this does happen! The class was 90 minutes, but actually over-ran and ended up lasting for over 2 hours. I think people were enjoying themselves?! THE VERDICT: Magic. Unique. Brilliant. Go. That’s it! 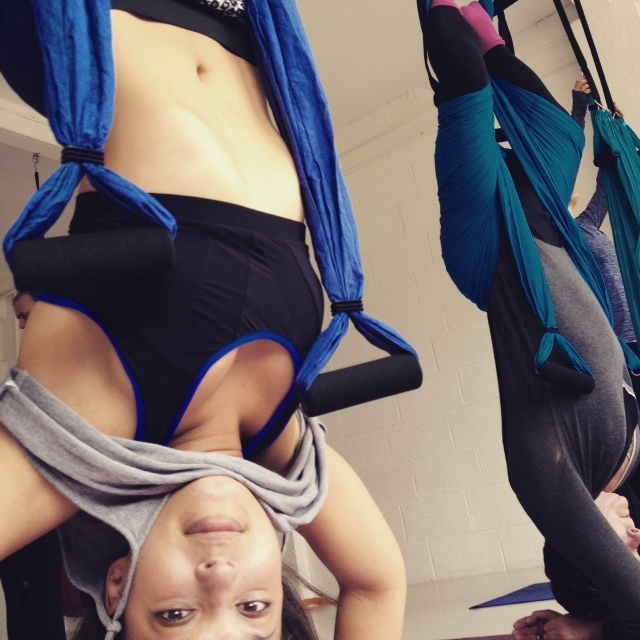 THE EXTRAS: Aerial Yoga London also runs classes are also available in Whitechapel and Chelsea. I’ve tried out the Whitechapel class (here’s my review) and it was fantastic (although the studio entrance is not accessible so please bear this in mind). Sorry to hear you had a bad experience there- it’s great that you’re prepared to give the same sort of class ago despite that though. 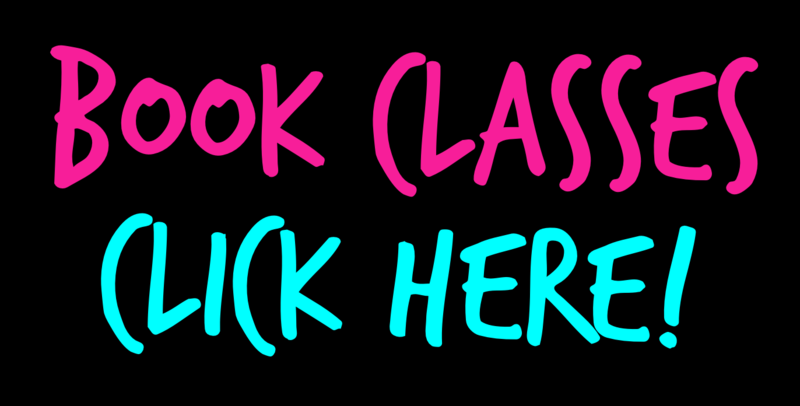 These classes in particular offer so much that it’d be rubbish for you not to experience how awesome they can be! 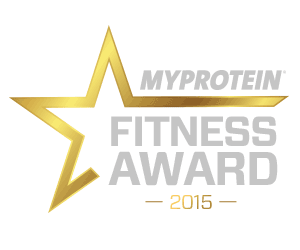 The big gyms have a LOT to learn from boutique classes and studios, don’t they? I’ve always wanted to try Aerial yoga, this looks like a great place. I often find that classes like this are so dependent on the space and teacher. 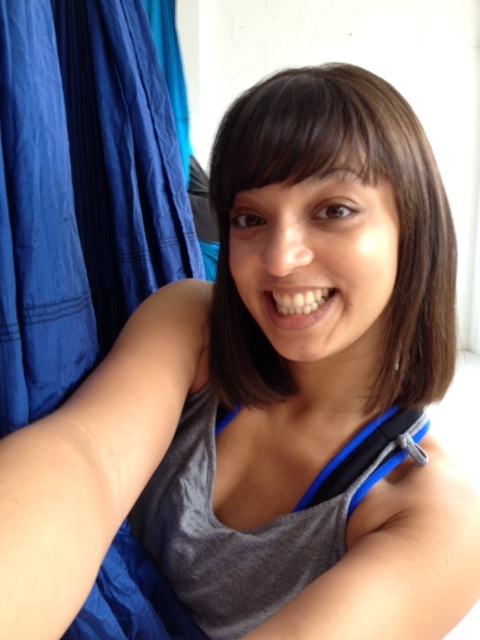 I’m stuck with gym-yoga classes for the time being and it’s just not as rewarding a studio. Hey Gemma- even if you’re stuck in a membership, I can’t recommend this class enough as a one off experience. It just left me so joyful!